This property for sale in Malta and Gozo Website has been designed with the emphasis being on a user friendly functionality, displaying property with lots of pictures where possible as we realize that a picture speaks a thousand words. It is possible to select multiple property choices by using the ‘Add to My Wish List’ function on right side of the property details, prior to submitting you can ‘View My Wish List’ then 'Submit' together with any questions or queries you may have, we will respond as soon as possible by email or telephone. Professional advice and assistance needs to be sort through our offices, who understand all the complex considerations, intricate attention to detail and most importantly the market place as a whole. Our aim is to convey all the information and advice you require to ensure you feel comfortable, confident and well informed about any decisions that you are likely to make. We will visit you at your property, and with no ‘cost or obligation’ carry out a free market appraisal determining an open market price in given current market conditions, discussing your plans and timescale so that we can arrive at a tailor made marketing package to sell your home as efficiently and professionally as possible. Our price guidance will be based on examples of similar comparables, which predict the open market price we shall endeavour to procure. We will prepare details of your property, which will be matched to buyers specifications who are registered on our database, details of your home will also be available online for customers to print off 24 hours a day 7 days a week. 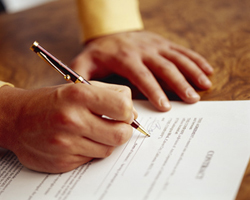 We will provide written terms of business in English. We will, record your specific requirements matching the information you provide us with, against homes registered on our database. We will liaise with the seller on your behalf to arrange viewings at times that are convenient to both parties, furthermore we shall endeavour to contact you regularly, in order to update the information we hold about you so we can respond to your needs accurately, alleviating any time wasting. We will follow up all enquirers, encouraging potential buyers to visit your home, determining the buyers purchasing capability prior to arranging an appointment together with the timescale that the buyer is proposing to acquire a property. We can arrange a property inspection visit Malta and/or Gozo, which includes Flights, Hotel and Transfer at very competitive rates. We shall pick you up from a requested location and show you homes that you have enquired upon as well as our recommendations. We shall confirm, any offer made and advise you as soon as a response comes back to us from the proposed buyer determining what the proposal terms to purchase are. We welcome you to our website, whether you are a local or overseas client, we do hope you find this website of ease to browse and all information provided within it of benefit to you and ask of you to submit any idea’s in terms of making this website a better experience. I thank you in advance and truly wish you the very best in your quest to source that dream home. Malta Homes Property Estate Agents ‘Committed to You and Your Move’ and not only Values Property, but Your Custom as well.